The Salon des Independants of 1939 presents itself with its usual richness and abundance, with more than 3,200 exhibits. It features a few artists, who separate themselves from the bulk of the exhibitors. 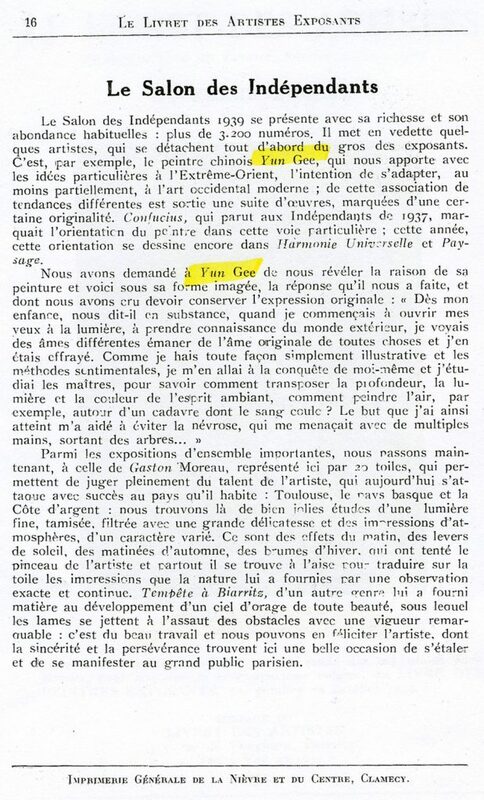 It is, for example, the Chinese painter Yun Gee, who brings out some special ideas from the Far East, and intends to adapt, at least partially, to the Western modern art; from this association of different tendencies has emerged a series of works, marked with certain originality. 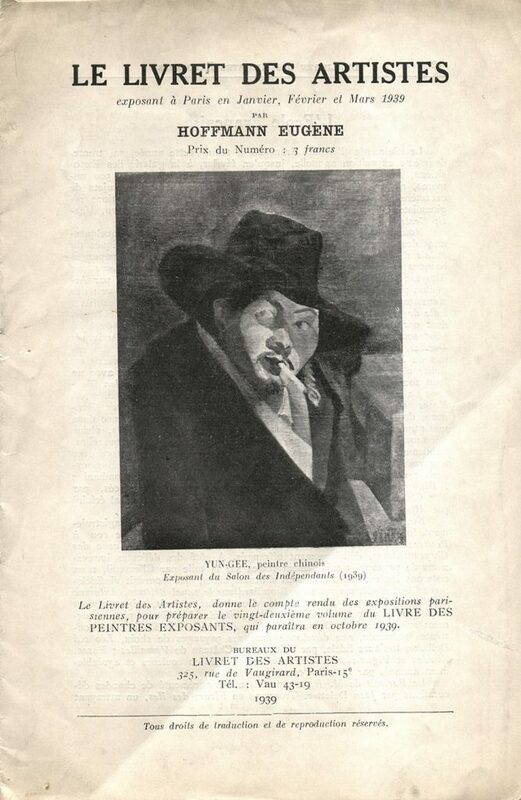 Confucius, which appeared in the Independants of 1937, marked the painter’s orientation in this particular way; this year, this orientation is still outlined in Harmonie Universelle and Paysage. Among the major exhibitions we now pass, to that of Gaston Moreau, reproduced here in 20 paintings, which allow us to fully appreciate the talent of the artist, who today tackles successfully the country he lives in: Toulouse, the Basque country and the Cote d’Argent; We find the most beautiful studies of a fine light, sieved, filtered with great delicacy and impressions of atmospheres, of a varied character. These are the effects of morning, of sunrises, of autumnal mornings, of winter mists, which have tempted the artist’s brush, and everywhere he finds himself in Asia to draw on the canvas the impressions which nature has furnished him by an exact and continuous observation. Tempetê á Biarritz, of a different kind, has furnished him with material for the development of an orange sky full of beauty, under which the blades throw themselves at the assault of obstacles with remarkable vigor: it is fine work and we can congratulate the artist, whose sincerity and perseverance find here a great opportunity of spreading out and manifesting itself to the general public in Paris.